Every day, the sun transfers an extensive amount of energy to the Earth for which have only learned to capture small amounts of it to convert into electricity. Most solar panels today range from around 11% to 18% in efficiency, with the best commercial solar panel efficiency being around 21%. In terms of energy density, solar panel efficiency is described in power output per surface area or watts per square foot (W/ft2). Typical solar panel energy density is around 12 W/ft2. For comparison, the sun’s average irradiance on the Earth’s atmosphere is 1,366 W/ft2. The main challenge in the solar industry has always been to develop the smallest and most efficient solar panels possible. The efficiency rating of a solar photovoltaic (PV) panel measures the percentage of sunlight that is converted into available electricity. The higher the efficiency, the less the amount of solar panels you will need to power your house. One technique being used to increase solar panel efficiency is using a reflective coating underneath to capture a larger amount of light from several angles. The tilt of the roof where solar panels are installed can affect the number of hours of direct sunlight they receive in a day. Solar panels should be installed in their optimal position, so they can get as much most solar exposure as possible. This means that they should be installed for the correct orientation that is based on the direction and angle of your roof and your geographic position. In the United States, solar panels should ideally face south. Solar panel cells become less efficient at very high temperatures. Solar panels require a certain amount of coolness so they can work at their optimum efficiency. This is achieved with a good amount of ventilation behind them. They should be placed a few inches above the roof so that there is a descent amount of airflow underneath. Too much shade, either from a cloudy day or from a near-by tree, can significantly lower PV electrical generation. Cloudy days cannot be avoided, but special care should be taken to ensure that panels are not shaded by a physical object. Germany leads the world in the solar market, while California leads the United States. Part of the reason is due to government incentives that help promote and develop solar energy technologies. 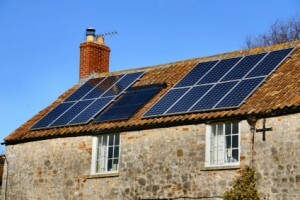 Government incentives offer a financial return on solar investments. With the help of government incentives, private companies and institutions are working on research to increase solar panel efficiency. For example, Stanford has done research to use both the sun’s light and heat to produce electricity. This would make solar panels more efficient, making them work at very high temperatures, where traditional solar panels are inefficient. Older strategies include the reflective coating underneath panels to maximize solar energy intake per surface area. Solar panels are becoming smaller, less expensive, and more energy efficient. Thanks to government incentives and a worldwide move to use alternative sources of energy, the day may come when solar power will be used in everyone’s home. 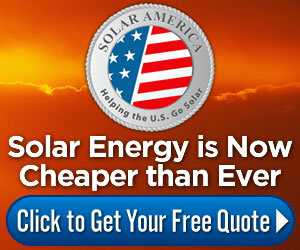 You can get a free quote on the costs of solar panels by clicking here.